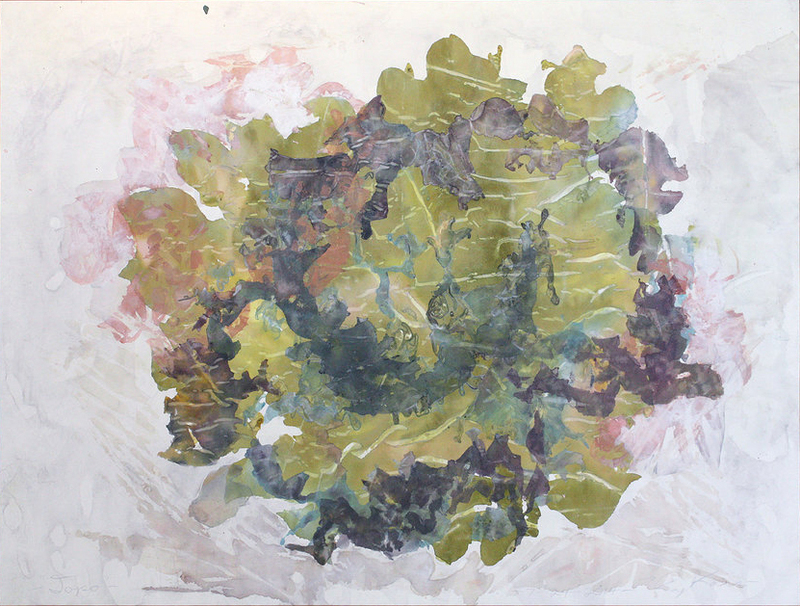 Rather than try to visually depict the natural world, Kass seeks to evoke the experience and vital essence of it. 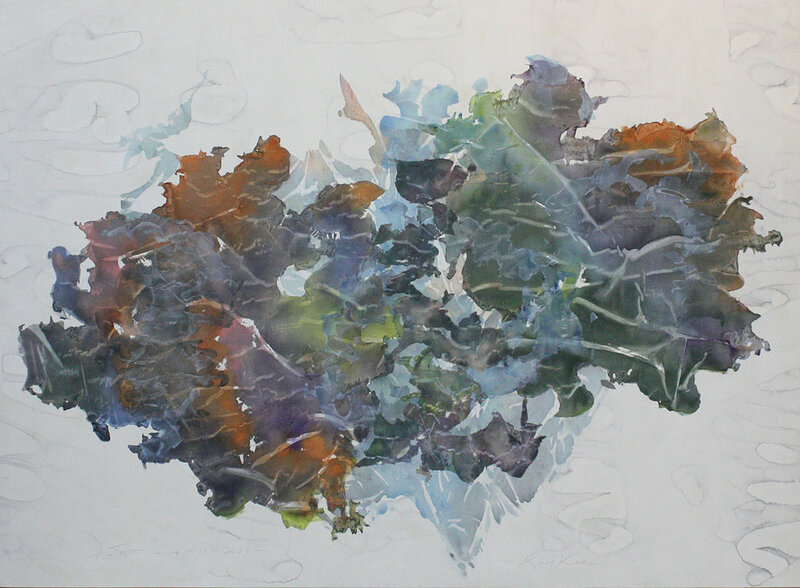 The application of paint and dried pigments onto wet oil emulsion creates a bleeding, transient quality, which calls to mind both light and movement. 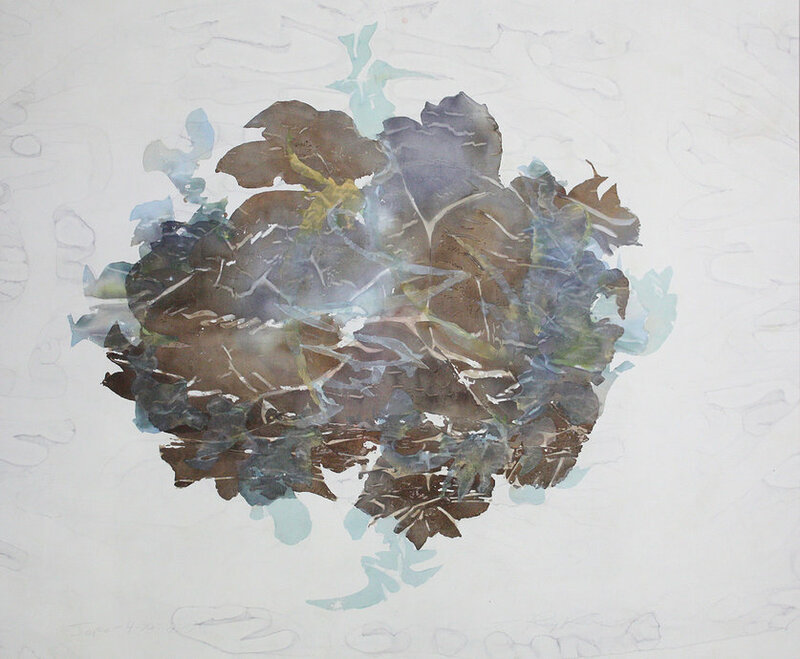 Kass uses stencils created from his own nature drawings as templates for the layers. Often, paint is applied through nylon scrims creating a mesh-like effect that also suggests impermanence. 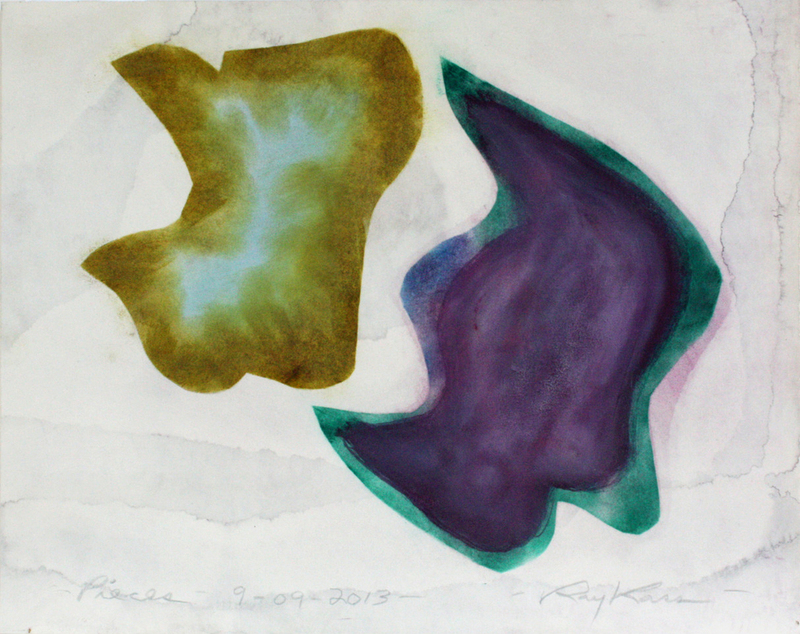 There is an inherent lyricism in each of his works as these natural forms meld and swirl to create new energies.